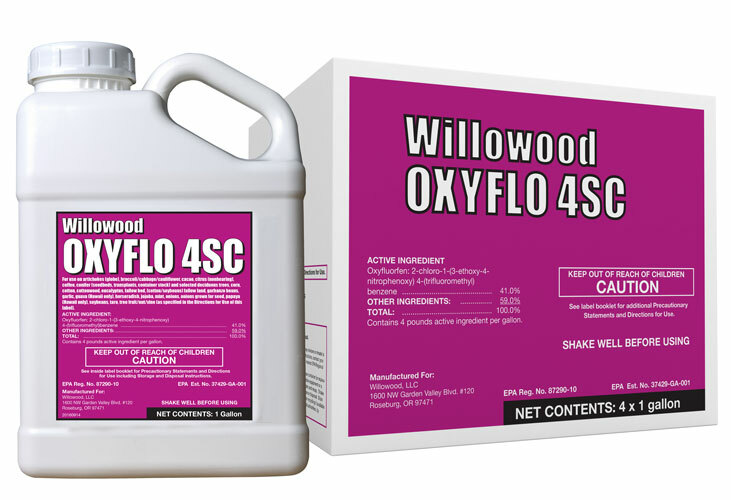 Willowood Oxyflo 4SC provides long lasting pre and post-emergent control of such weeds as lambsquarters, mustard, nightshade, purslane, shepherdspurse and sowthistle. The low VOC formulation is safe for the environment. GOALTENDER® is a registered trademark of FMC Corporation.